LilacsNDreams: Welcome Back to LilacsNDreams!! 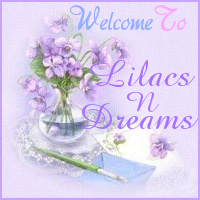 Hello and Welcome back to LilacsNDreams!! Wow! It has been a very very long time since I have visited here. I deeply apologize for the absence of about 3 1/2 years from here. Wow!! Seeing that number, it really has been a very long time. 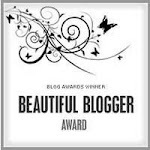 I ask everyone to bear with me as I hopefully make some changes to my blog/website to update it...once I can figure out what I am doing again. LOL...I honestly feel as though I am learning things all over again because it has been soooo long. Trying to make my story short, and not sharing my whole life story, but things got really hectic/scary for a while. I had become ill, and was later hospitalized a few times with meningitis. I wasn't contagious, but it sure was scarey. The recovery time is something else too! I found out the hard way it wasn't something you just shrug off, and a few days later you are cured. It really truly is a long process of healing. For quite a while I couldn't be left home alone as I had to be supervised during my recovery....sorry, I am too stubborn for that! I couldn't drive, used a walker for a bit, had to rely on others...which I am independent. Sometimes I pushed myself too hard, and later would pay for it. Now, during my illness, in and out of hospitals, husband drives truck and was home 1-2 times a week to check on our home and such....within the first month+ our home had been robbed 3 times. I know, how horrid, right? We pretty much lost everything...computer, cameras, tv, jewelry, food, etc. It was devastating, and a total shocker too. Being ill, trying to recover, and who could do such a thing, right? It took a while to recover from robberies as well. The ones who were guilty were caught eventually, but we were never able to get anything back. Without sharing details of all of this it took us a very very long time to come back from this situation. Besides getting new things....which it was really hard to shop for items lost, my husband wanted me to get a new wedding ring as well. Great, huh? Love him for it, but it was just really hard to deal with all of this. I couldn't get in the mood to do any shopping to replace things, plus I was still recovering from my illness too. Soooo, here I am today!! I am back, ready to work on things, clean house, get things back into order, and start doing a lil of what I was doing before all of this happened to change our lives. I finally brought a new computer home....let me tell ya. Waayyy different than using my iphone, and my ipad!! But, it's a good thing. Just I feel like I am learning things all over again....frustrating, but also fun too. Hey, at least I can laugh at myself when I make a mistake and realize what I have done😉😄 No one is watching, right? LOL!! It's all a working progress....figuring out all my accounts, emails, passwords to things, activating some things again, etc etc. Taking a lot of notes, and it is slowly coming back to me. First things first...working with my website here, facebook, pinterest, and getting things in order. Once I am comfortable with all of that I hope to soon be back online selling things again too. A little bit of vintage, along with some DIY, repurposed, recycled, reused, and restored pieces too. Sooooo, that's everything that has happened from time past, and things I am projecting to work on from today and moving forward. Like I mentioned before....please, please bear with me. 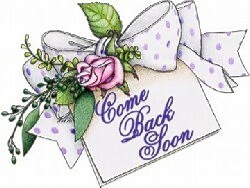 Stop by now, and then to visit with me/check on me. Hopefully soon you will be seeing a few changes with my blog/website as I train myself again on how to fix some of the issues, revise, and update things as time goes along. It's a working progress that I am looking forward to, am excited about, and ready to take on!! Thanks sooooo much for visiting with me today everyone!! Was great seeing you stop by, and hope to see more of you as time goes along. You can always leave a comment, or drop me a line too. Love hearing from everyone! !